Regency-era smuggling conjures images of darkness, moonless nights hiding the illicit acts of Free-Traders loading and unloading casks of brandy washed up on English shores by the tide, or hauling contraband like laces, silks, and tea through secret, underground tunnels. Around the turn of the nineteenth century, Peter Warne and his unnamed wife had three children, Peter, John, and Lovey (Loveday). All three were baptized Christmas Day, 1796, at Ringwood Parish Church, when Lovey was probably six or seven years old, because in the 1851 census, her age was listed as 62. The Warnes were innkeepers, but also made ends meet by smuggling. Many folks at the time did, and people of all classes engaged in the buying or selling of smuggled goods. Since the 1671 Customs Act placed duties on goods from alcohol to lace, fruit to tea, British subjects found many items too expensive to enjoy unless they were obtained illegally. Not only were the prices less on smuggled goods, but smuggling paid well: a man could earn 10 shillings for helping land smuggled goods onto the shore--a few hours' work that paid more than a farm hand's average weekly wage of 8 shillings. The story goes that in the Regency-era years, Warne sons Peter and John would haul wagons of contraband along the chalk Smuggler's Road in broad daylight. Their sister Lovey helped them in a unique way. If a Revenue Agent happened to be making rounds on the days when they went about their illegal business (in 1803, the fellow's name was Abraham Pike), Lovey would don a red cloak and climb Vereley Hill to stand as a human signal, warning them to take another path. © Copyright Jim Champion and licensed for reuse under this Creative Commons Licence. Lovey didn't just participate by standing on a hill. She also smuggled goods directly off ships in Christchurch Harbor by wrapping silks around her body, under her cloak. According to one story, she was almost caught once, when an unsuspecting revenue agent liked the looks of her and tried to embrace her. She let him know in no uncertain terms she was not interested and made her getaway. The legend of Lovey has lived these past two centuries, and now there's even an ale named after her. But what happened to the real Lovey Warne? Lovey never married, but lived with Peter, a maltster, until his death in 1870. She died in 1873, leaving six pounds in her will. She was buried in the Church of St. John the Baptist in Burley, one of the first parishioners to be buried there. Apparently, she wished for her beloved pony to be buried with her, but officials did not grant her request and her pony was buried near a ring of fir trees outside the church yard. * The story of Lovey Warne is related in books by O'Donald Mays, Burley historian Felicite Hardcastle in her 1950 publication, Records of Burley, and "Heritage in Dorset and the New Forest" by Roger Gutteridge. Lovey Warne's red cloak inspired a very unfortunate fashion choice for the heroine of my new release, The Reluctant Guardian (LIH). I'll be giving away a copy to one person who comments and leaves a way to contact him/her in the comment before 11:59 pm PST February 7, 2017. 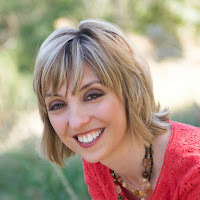 Visit my website for an additional giveaway! Covert government agent Tavin Knox must keep Gemma safe from the criminals who think she can identify them—a mission he never wanted. But as he escorts her and her rascally nephews around London, the lovely English lass proves braver than he ever imagined. Suddenly, the spy who works alone has one Season to become the family man he never dreamed he'd be. Hi Debbie! I'm glad to hear you enjoyed the post! You're entered into the drawing. Hope you're having a great day! Lovey and her red cloak, so Daring! 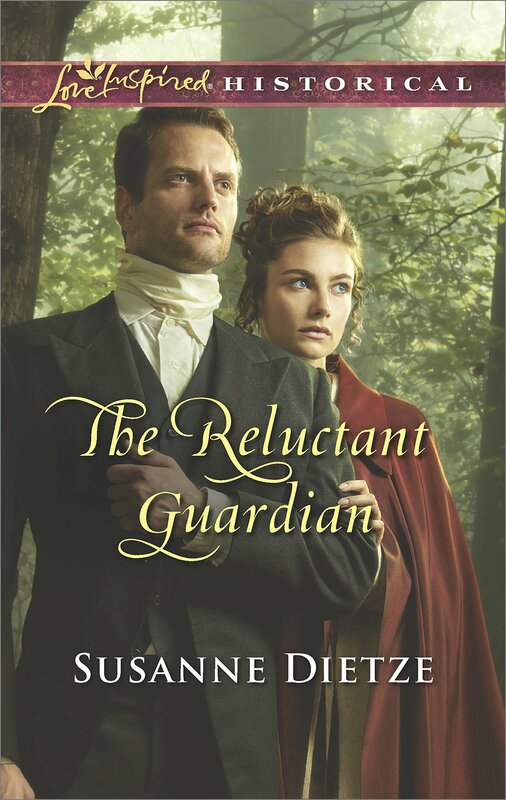 I am putting The Reluctant Guardian on my wish list, I really enjoy Regency stories. I'm glad you enjoy Regencies! They have been a favorite of mine since I was a teen. You're entered into the drawing! Thanks! This was a very interesting post; thank you for sharing. Thank you for the chance to win a copy of this book. As a side note, Clark Gable's character in It Happened One Night was named Peter Warne. I couldn't help but think of that when I was reading and wondered if that is where they got his name. How interesting, Susan! I didn't know that! Hmm...very curious. I'm glad you enjoyed the post. You're entered into the drawing! Great post--a unique slice of Regency history that I have never heard of before. I am intrigued! Thanks for the post, and the giveaway,too! Isn't it an interesting tidbit, Lynda? It seems astonishing that they'd go about their criminal activities in broad daylight like that! Hi Paula! I've never seen that movie, but it sounds great. I'll have to look for it! You're in the drawing. Thanks for coming by! Hi Katherine! Isn't it an interesting story? So glad you could come by. You're in the drawing! Hey, I love articles like this! I'm sharing it on social media. Your book sounds interesting and you have a great cover! Hi Elva! Thanks for sharing! I like the cover, too. The art department at Harlequin did a great job! You're entered into the drawing. Congratulations on your debut releases! hi Loraine! I wonder why she didn't marry, either. I wish we knew more about her life story! You're entered into the drawing! I really enjoyed the story behind your book. I enjoy reading stories based on facts and real people. Hi Judy! I always enjoy learning historical tidbits behind fiction, too. Sometimes truth is much stranger than fiction! Thanks for entering the drawing. Interesting! Sounds like a great read. Thank you for the chance. So glad you could come by today and enter the drawing! Hope you're having a great weekend. Very interesting post! Of course, Lovey sounds like a very interesting person! Thanks for sharing this bit of history and for the chance to win a copy of your book. Ida, I agree with you about Lovey. I wish I knew more about her, but what we do know is certainly intriguing! Thanks for coming by. You're entered into the drawing! What a lovely cover...and a very interesting post. I would love to win a copy of your book. Hi Debbie! I love the cover, too. The art department did a great job! Thank you for sharing your interesting post, Suzanne. Would love to read your book. Hi Melanie! So glad you could come by. You're entered into the drawing! Thanks for the kind wishes, Alison! So nice to meet another Regency fan! Hope you're having a great Saturday. You're entered into the drawing! The Warnes were certainly an interesting family, weren't they, Betti? I can't imagine sending my children out to smuggle! Lovey would have been a young teen when she started hiking that hill! Thanks for coming by. You're entered into the drawing! LOL - I suppose as a member of HHH I'm disqualified anyway, but I wanted you to know that I'm supporting you all the way. Thank you, Anita! You've been such an encouragement to me throughout this long process! Sending hugs! Congratulations to Loraine, who won the copy of The Reluctant Guardian! Thanks to all who entered!